3-way check valve DN 40 (Dim. 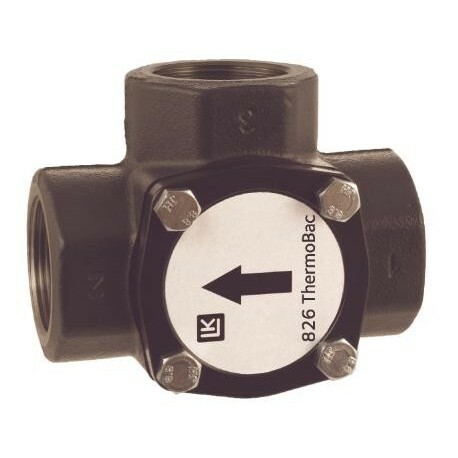 Rp 1½"), kvs 24 m³/h, Cast iron, LK 826 ThermoBac. We don't sell the LK Armatur products to outside of Estonia! ThermoBac automatically opens for self-circulation. The valve should be mounted so that the flap in the check valve closes by its own weight.